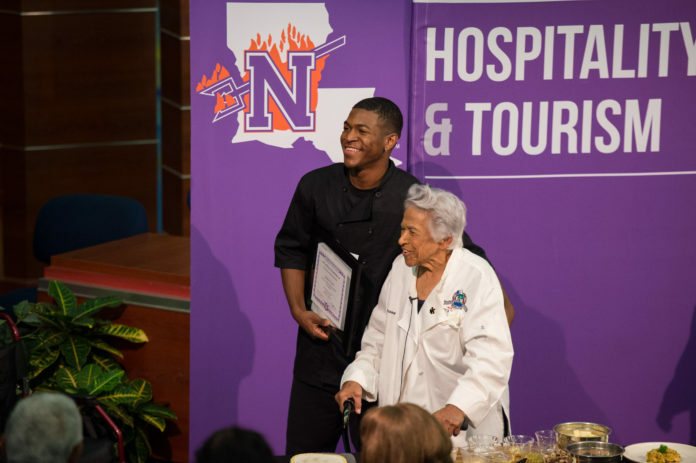 Jeremy Aaron of Natchitoches was named the first recipient of the Chef Leah Chase Scholarship which will be presented to a student pursing a degree in Hospitality Management and Tourism with a concentration in culinary arts. Aaron was selected based on his high grade point average in culinary arts classes, leadership and teamwork. The scholarship was announced during a guest lecture featuring Chase at NSU Sept. 19.